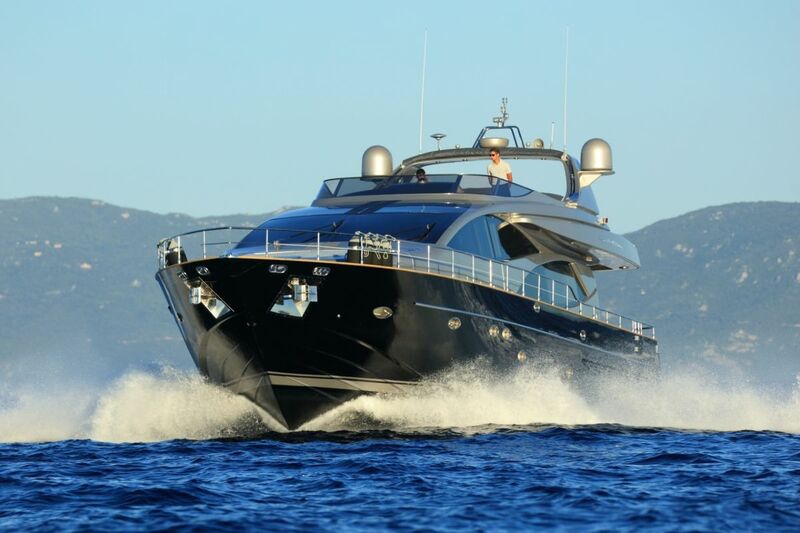 This fantastic Riva 85 Opera yacht is currently available for a Corsica yacht rental. 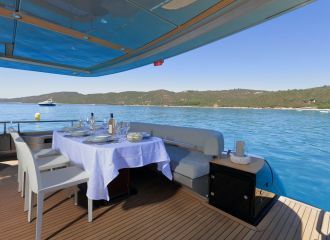 It is the perfect yacht for a family holiday cruising the beautiful waters of Corsica. 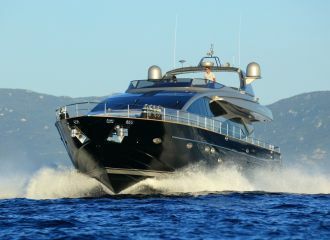 Run by a crew of 4 and after a recent refit, the boat shows in very good condition. 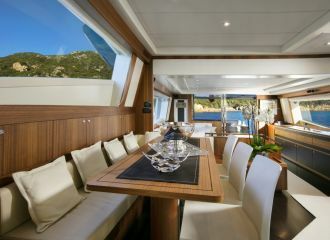 The cockpit features a dining table with comfortable seating. 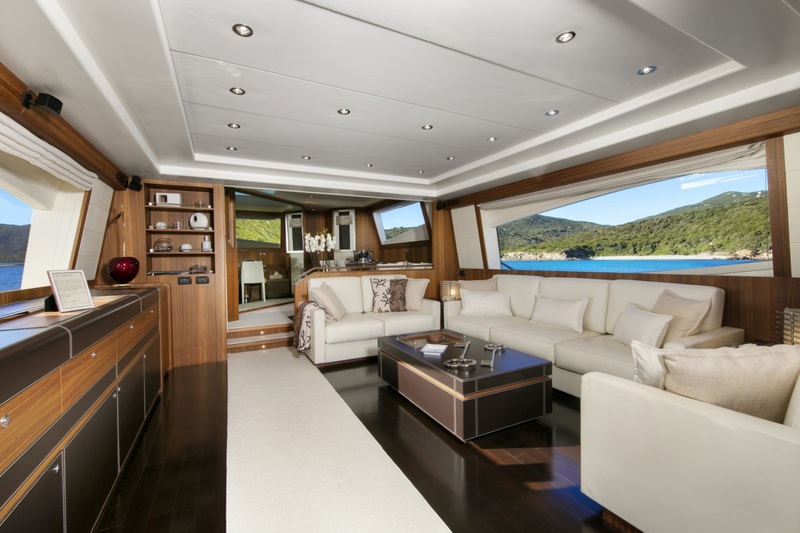 A staircase leads up to the flybridge which boasts two tables, a seating/lounging area as well as a bar and a BBQ. 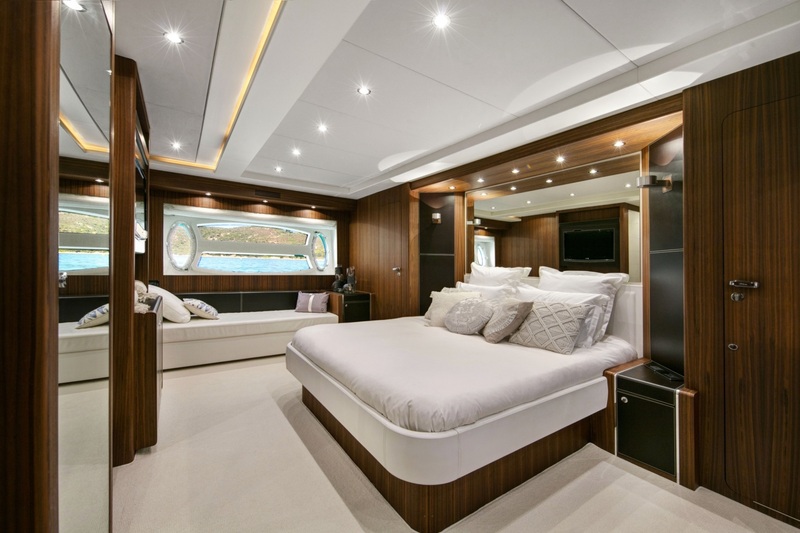 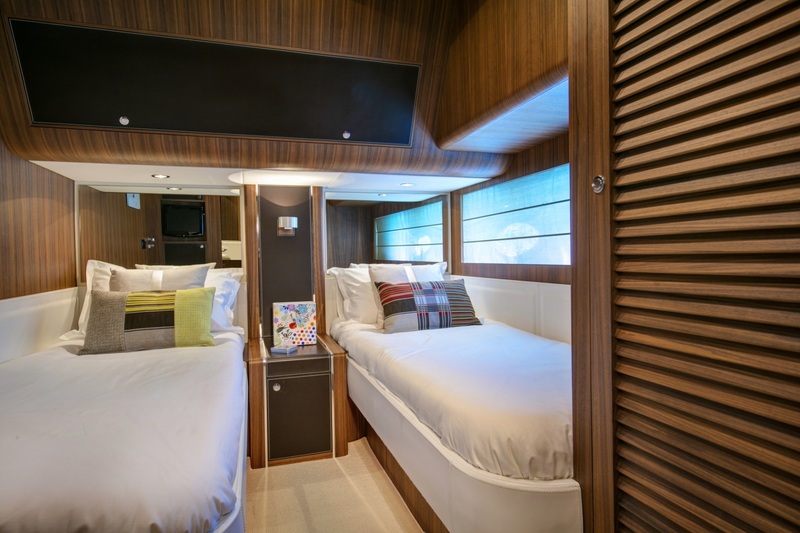 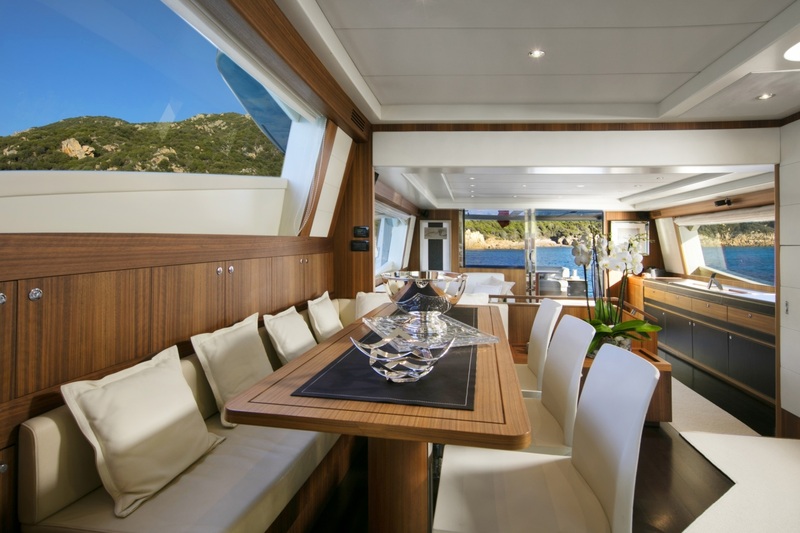 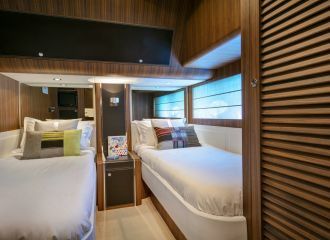 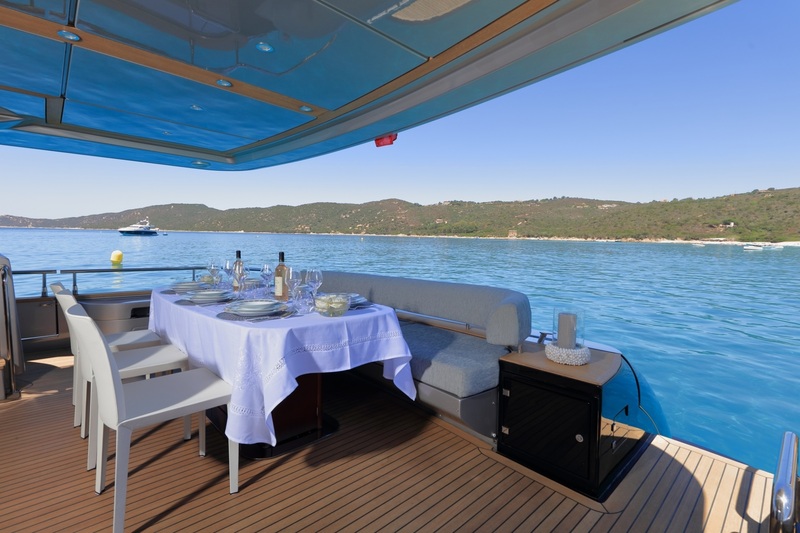 During the day, guests will enjoy sunbathing on the foredeck. 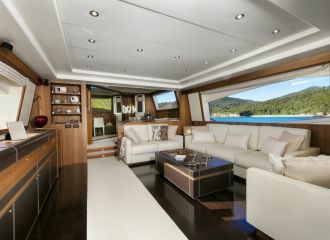 total 7833	€ Excluding VAT and APA ?